What does it mean to wait? I don’t mean wait for the bus or wait for supper. I don’t even mean wait until you grow up. The waiting I wish to show you will take lots of time because it involves lots of time. As I explore what this means to me, I will try to use stories and pictures to grasp the meaning of the word “wait” used by the Psalmist and others. I’ll begin with this example to show waiting as something you might do all your life, like a relationship, maybe. Psa 25:5 Lead me in thy truth, and teach me: for thou art the God of my salvation; on thee do I wait all the day. 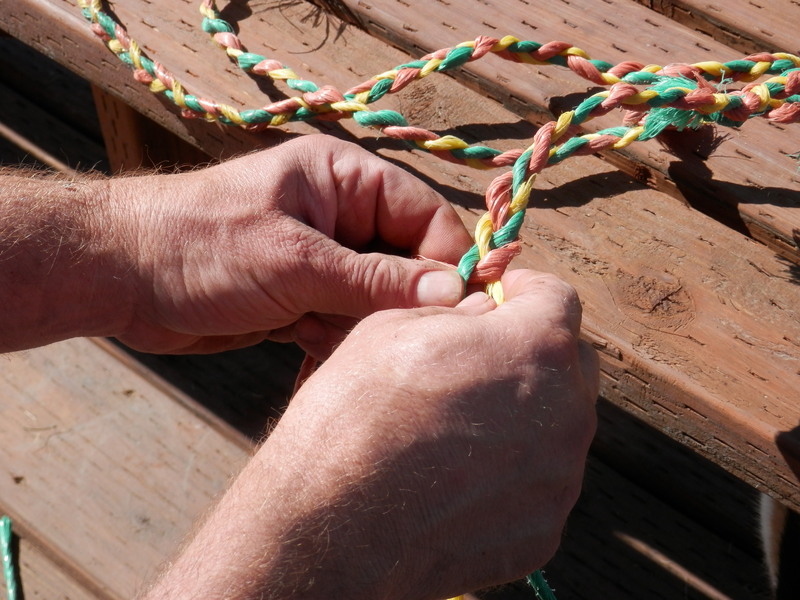 The “balin’ twine braid” was simple. You take three strands of baling twine, tie a knot in one end and start weaving the strands by crossing the outside one over the middle one, first left over middle, then right over middle, repeat. What my grandpa imparted to me that day was a useful means for an 8-year old to craft a simple rope to be used as a bridle, a lasso, a lead rope, and other cool farm boy stuff. But, somewhere along in years, probably mid-20’s, when I first got introduced to this biblical word for wait as a rope bound together by twisting, the lights came on and I latched onto the “balin’ twine braid” as the metaphor for my relationship with “Trinity.” A relationship that involves a lot of time waiting, a lot of time not seeing, but engaging…entwining. Just as the braiding process involves numerous repeated “wraps,” so does my relationship with a triune God.